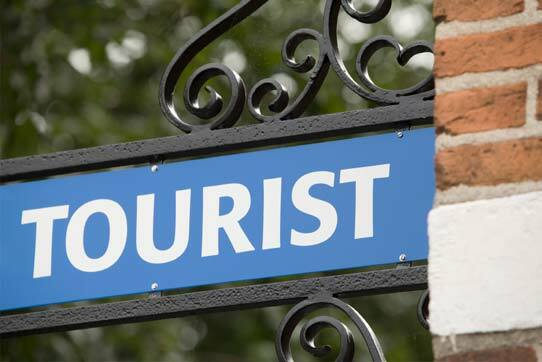 The iVisitorGuide service provides a range of web entry levels - from DMS data rich ‘out of the box’ websites, through to larger scale consumer focussed template-driven websites incorporating online booking options, content and copywriting, video, data capture, search engine optimisation and secure hosting. In effect iVisitorGuide sends personalised tourism content to a network of Tourism Providers who promote the service via their own website. The Tourist Board benefits through showing more of its products to more consumers. Consumers benefit from gaining easy access to highly relevant visitor information. Tourism Providers benefit because their business gets much wider online marketing exposure and they are satisfying consumer demand for better information. The development of the iVisitorGuide service has been influenced by what we believe consumers need backed up by the latest research on humanising the Internet experience. ‘To improve, the industry must humanize the digital travel experience - putting human benefits ahead of technology. Humanized digital travel experiences are useful, usable, and desirable. They deliver basic value, take content available to all and make it meaningful to one traveler, and tap into travelers' emotions. Humanized digital travel experiences are created by aligning organizations to be customer-centric, gathering and using relevant customer insight, and adopting an outside-in, emotional perspective versus the industry's usual inside-out, clinical approach’. iVisitorGuide also provides intelligence on consumer behaviour. It becomes a tool for Tourist Boards to understand the nature of demand and referral within the various strands of a complex visitor economy. Critically though, iVisitorGuide is a network and a platform. It is a network of tourism providers who agree to cross promote for mutual benefit and it is a platform upon which core DMS data is distributed to the widest possible audience.